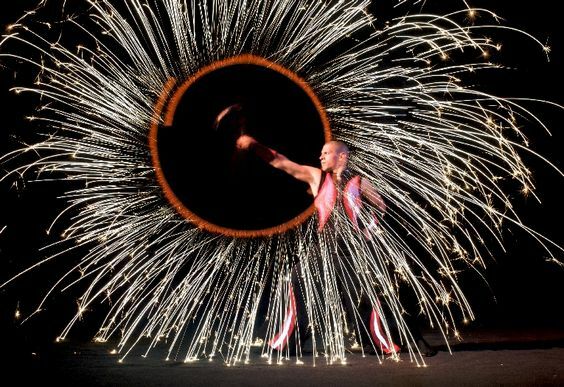 Sturmaz is a high impact, breathtaking fire show guaranteed to add something extra special to any event! 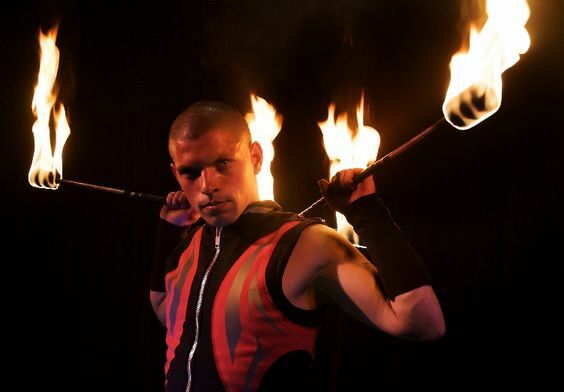 Contemporary inspiration and the element of fire are presented in a multitude of forms to create a unique blend of light and dance choreographed to an adrenalin fuelled soundtrack, ending with a pyrotechnic finale makes this show unlike any other! ‘Sturmaz’ is a 16 minute high energy performance piece that includes four performers. 1 safety technician is required when using stage pyrotechnics in the optional pyrotechnic ending. Fire / pyrotechnic umbrellas – 2 persons + Pyrotechnic staff – 1 person + Pyrotechnic clubs – 1 person – 1 minute 46 seconds. The full show runs for 16 minutes. A shorter version ‘Sturmaz’ has been created with three performers when needed. When a three artist version of this show is required the show runs for 11 -12 minutes and may not contain all the elements found in the full show. We’ve used your services at Hard South on many occasions and they always deliver an amazing show. 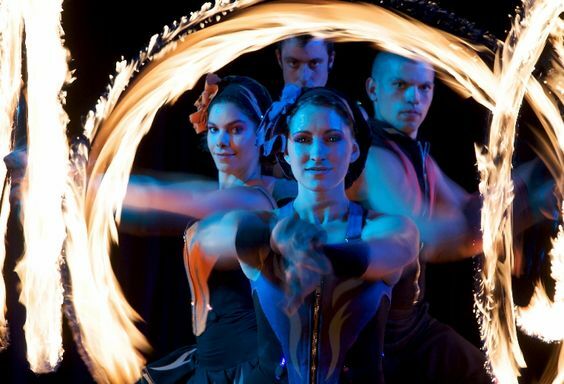 They are totally professional and fantastically talented performers, who are also capable of coordinating and delivering a much extended show if needed. I would have no hesitation in recommending them for every occasion! You added the sparkle to our weekly Sevensins promotion at the Honeyclub in Brighton for over 4 years. They have loads of positive energy and enthusiasm which makes them very popular. 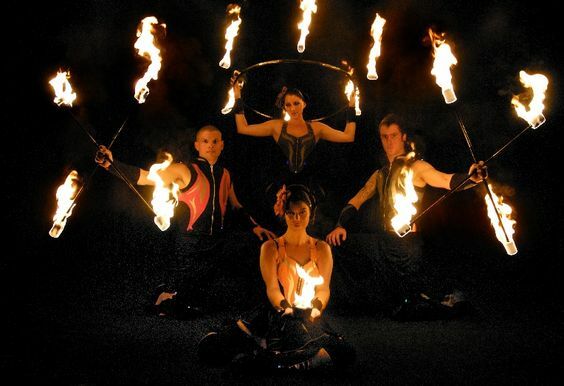 Their fire shows, stilt walking, outfits and angle grinding are awesome and make others look like amateurs. Their biggest assets are their friendliness and big smiles which never fails to draw appreciation from our customers. My only regret is not finding them sooner! They were the consummate professionals when I contacted them about performing at our wedding in November 2005. They were flexible enough to be able to tailor something to meet our very specific budget and their unique performance was a talking point amongst our guest for a very long time after the event. We were so pleased with the results that we have recommended them to other friends who are considering using them for their own nuptials! !